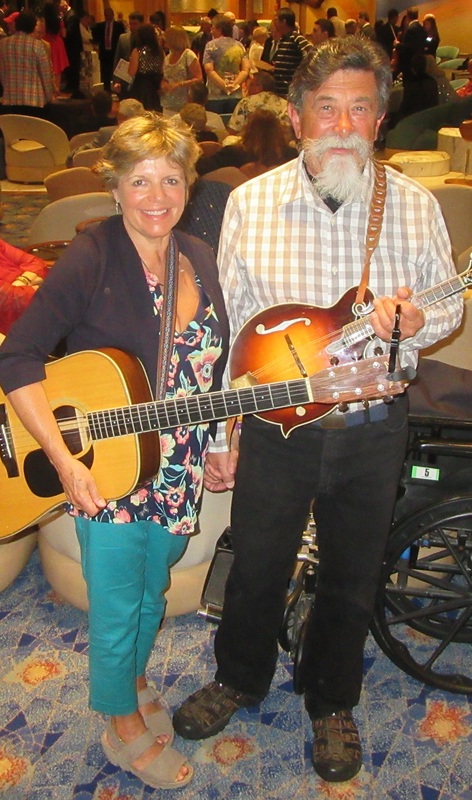 Marie (above, left) and Ernie King, owner of Ernie’s Tire Barn in Tunkhannock, enjoyed live bluegrass music on the high seas last week as part of Danny Stewart’s Bluegrass Cruise to the Bahamas. They look forward to joining the Stewarts in Lazy Brook Park in Tunkhannock Township May 31 to June 3 for the 11th NEPA Bluegrass Festival. 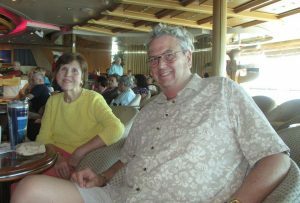 Bluegrass fans from Bradford, Susquehanna and Wyoming counties and many other parts of Pennsylvania were among the hundreds of participants of Danny Stewart’s Bluegrass Cruise to the Bahamas last week. 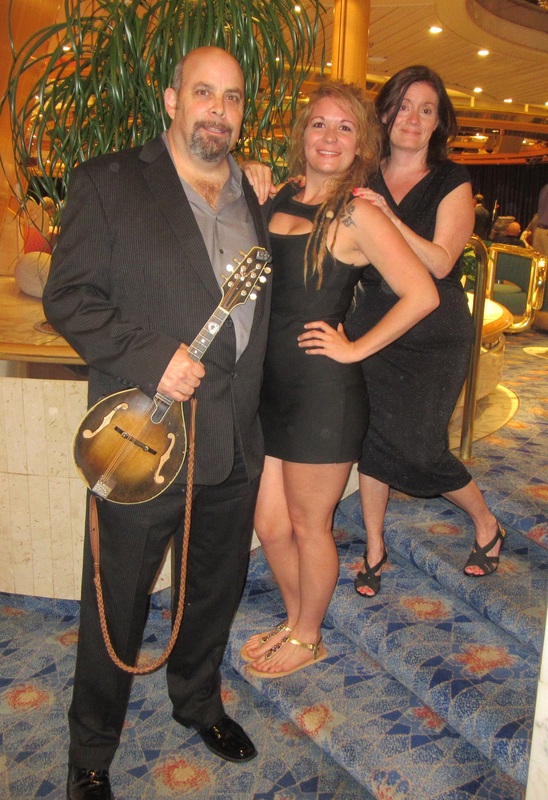 Despite opportunities to partake in daily excursions at sunny ports of call during their five days at sea, most ticketholders chose to stay on the boat and soak up as much live bluegrass music as they could. Why? 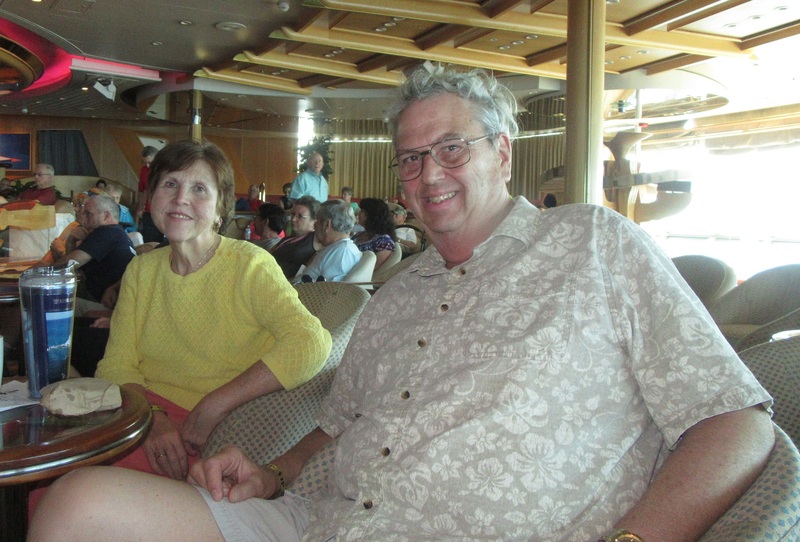 “The music is very relaxing and entertaining, and we meet a lot of good people,” said Ted Beeman of Kingsley of their beloved and ever-expanding “bluegrass family.” Ted was on board with his wife, Mary Ann. Their love of bluegrass music began at a festival in New York state in about 2005, and they found the NEPA Bluegrass Festival a few years later. “The performers are true, honest people singing about life,” said Mary Ann. 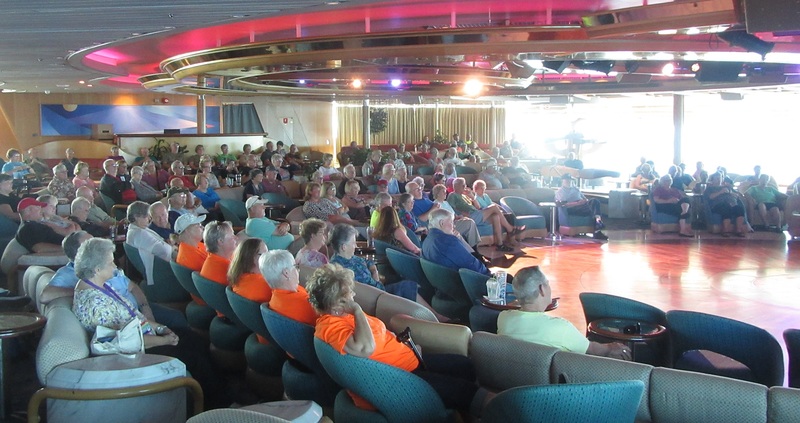 From Feb. 5 to 8, the Spotlight Lounge on Deck 6 rang with the sounds of Farm Hands, Nothing Fancy, Zink & Company, Williamson Branch, Wayne Taylor & the DC Reunion, Jerry Butler, Joe Mullins & the Radio Ramblers. And, just like the NEPA Bluegrass Festival, those who brought their instruments aboard participated in jam sessions and music workshops. Many of those who were on the cruise for the music have been to the NEPA Bluegrass Festival, regardless of where they call home, and already have plans to be there again this year. Locals maintain that the event is the perfect combination of venue, artist roster, and careful coordination by Danny and his wife, Christa Stewart, long-time residents of Sugar Run. 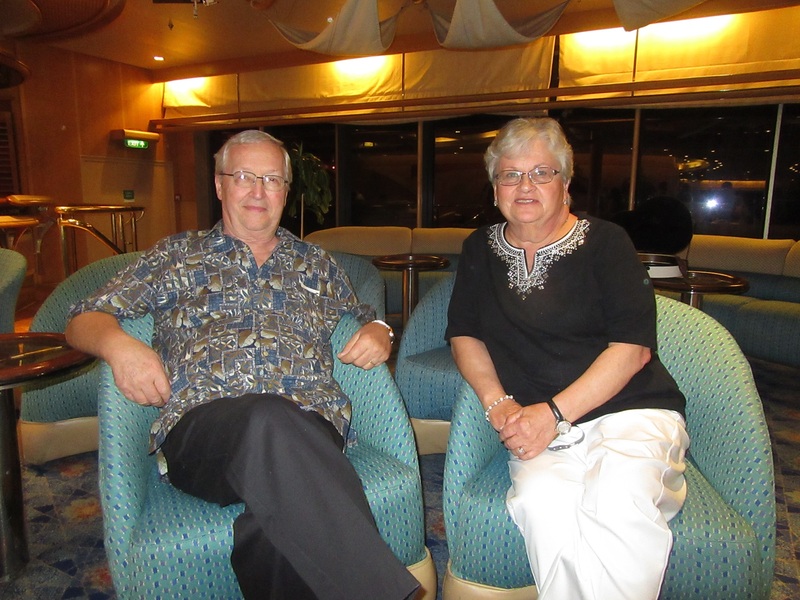 “The Stewarts do a wonderful job of organization, and it’s a big job,” said Mary Ann. “It’s a great place to camp,” Ted said of Lazy Brook Park, the festival site. “And Tunkhannock is a very friendly town.” They enjoy the fact that there are amenities so close at hand should they forget or run out of anything. Ernie King of Tunkhannock Township most enjoys the high caliber of music that Danny brings to the Traditional and Progressive stages each year. A host of his own bluegrass and old-time country music radio program, Ernie feels that bluegrass music has made a comeback in recent decades as its own genre. “It’s always been a subsection of country. It has always been a staple of the Grand Ol’ Opry repertoire, even though radio stations in the north didn’t play it much,” Ernie remarked. As the popularity of modern country began to wane in the early 2000s, attendance and sales in the bluegrass market swelled by similar numbers. Marie was always a big fan of live bluegrass music, noting that it was a common element of morning and afternoon television shows when she was growing up with five siblings in West Virginia. As much as she enjoyed traditional bluegrass artists like Flatt & Scruggs, she also likes modern bands like Nickle Creek and Old Crow Medicine Show. Both enjoyed Leroy Troy last year, being avid fans of the Marty Stuart Show, but they are even more excited about this year’s headliner, Rhonda Vincent and the Rage. “That’s the number one act in all of bluegrass,” Ernie gushed. The 11th Annual Bluegrass Festival will take place from Thursday to Sunday, May 31 to June 3. Advance-price tickets are $70 each through April 15 and include free camping for the entire weekend. Electricity is available on a first-come, first-served basis at an additional cost. In addition to Rhonda Vincent, headliners include Danny Paisley & the Southern Grass, Larry Efaw & the Bluegrass Mountaineers and Jeff Scoggins & Colorado. For more information, follow NEPA Bluegrass Festival on Facebook. Members of the Stewart family from Sugar Run, Danny (above, left), Justine (center) and Christa greeted guests aboard Royal Caribbean’s Enchantment of the Seas on Feb. 5 and hosted four days of live bluegrass music and opportunities to rub elbows with the artists. 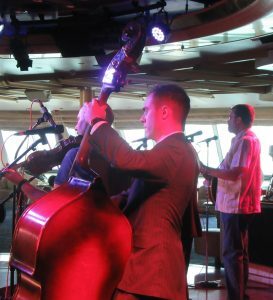 Danny Stewart Jr., (above, foreground) a member of the US Navy Bluegrass Band, took a break from his regular outfit to play bass with Wayne Taylor & the DC Reunion on opening night of the bluegrass cruise. Danny and his sister, Justine, graduated from Wyalusing Valley High School. 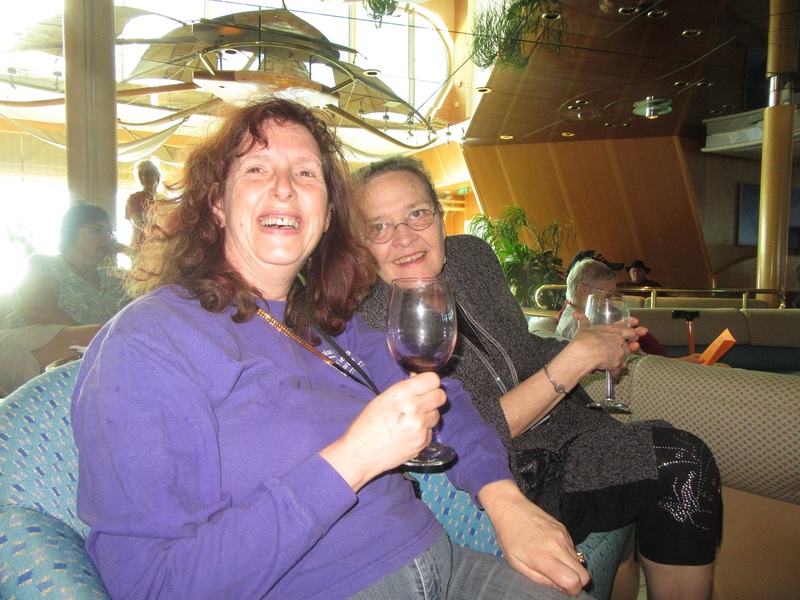 The purchase of a new camper in 2005 led Ted (left) and Mary Ann Beeman of Kingsley to the bluegrass circuit. Now they are regulars at the NEPA Bluegrass Festival. Ron Perry (above, right) spent his teenage years in Little Meadows, Susquehanna County. He now lives in Rochester, NY, with his wife, Nancy. They are two of four members of the bluegrass quartet, Linabelle. They got their start jamming on the Progressive Stage at the NEPA Bluegrass Festival. NEPA Bluegrass Progressive Stage manager Sandi Marola above, (right) of Allentown and festival volunteer Virginia Gerlach of Quakertown look forward to seeing old faces and meeting new friends at this year’s NEPA Bluegrass Festival, which kicks off on Thursday, May 31.